Do you want to be trained and qualified by one of the world’s top 100 recognised brands? Do you want to receive a subsidised toolkit within your first 6 months of your apprenticeship? Do rostered days off appeal to you? Do you want to learn from some of the best technicians in the industry? 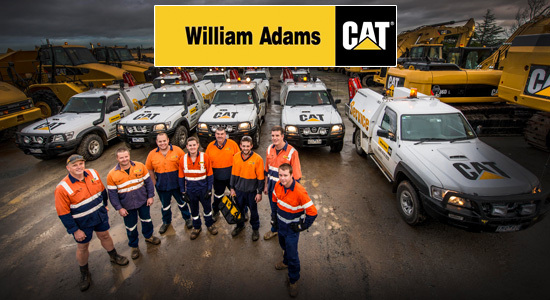 An Apprenticeship with William Adams CAT can provide all of the above and more….it just depends on how big your dreams are! Still don’t believe anything’s possible…check out the story of our Executive Chairman, Dale Elphinstone! The most impressive and enthusiastic applicants will be given the opportunity to begin a 4 year journey to becoming the best in the business. If you are passionate about the earthmoving industry, have an excellent mechanical aptitude, good school results, including Maths and Technology, and are committed to a successful career as a Technician within our industry then we need you and you need us. To register your interest, please complete the requested education information, as well as including a short cover letter telling us what your career aspirations are.